Everyone wants to relive those memorable moments in their lives, be it their wedding, a special birthday or a momentous event and what better way to do that than to convert your VHS and camcorder tapes to videos that you can watch whenever you want. There are scores of converter devices just asking to be used but when precious memories are at stake, you'd like to use one of the top VHS to DVD converters. So let's take a look at a few of them. This is perhaps one of the very few converters that's ideal for Mac computers but not really compatible with Windows—it does work with Windows 7 or 8 but that's about it. This is indeed a limiting feature of the device especially if you're still on Vista or XP. The converter is easy to install, is a great choice and a great option if you have the latest operating system. That said, converting tapes is a breeze with a Mac as the app automatically transfers VHS data to the computer. Another good thing about the application is that you can either choose to watch the video while it is being transferred or just watch it without doing any recording. The PowerDirector software is apparently adequate while transferring VHS data to Windows and what's more, in addition to conversion, editing can also be done. You have the option to cut out those portions of the films that you don't want, you can even add titles and include chapter breaks. It is priced under $80 and is available on Amazon. Not compatible with Windows XP or Vista, only on Windows 7 and higher. Priced under $40, it is stated to be one of the best VHS converter devices around. It's easy to use, highly functional and has earned the Top Ten Reviews Gold Award for VHS to DVD converters. 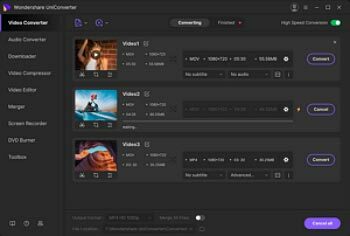 It allows videos to be captured from almost any video source and is extremely compatible with external video capture devices and video editing software. The CD that accompanies the device has drivers for all windows operating systems. As the Windows Media Suites are very easy to use, videos can be edited easily and quickly. A good feature is that you can still take shots even while you are recording video. You can use this VHS converter to watch analog videos from box or PlayStation and also record material from your DVR to your computer. It does come bundled with Arcsoft ShowBiz but you have the option of switching over to any other video capture application of your choice. Compatible with Windows 8, 7, Vista or XP. In case you're running Windows 7 or below, capturing and conversion of videos from VHS can be done with the help of Windows Movie Maker. Not compatible with Mac but it does have a separate converter model that makes it compatible. This converter costs less than $60 and is different from its counterparts in that it is larger than a USB dongle. The drivers that come along are invariably outdated and although it supports plug and play, it's hard to get it up and running. However, once you get the settings right, the results are amazing. It can even bypass copyright protection. The Honestech VHS to DVD 7 Deluxe has the ability to capture videos in most standard formats and also in WMV format. The fact that the software includes three different capturing modes means it's good for novices as well as advanced users. The user-friendly and powerful converter won the Top Ten Reviews Bronze Award. Allows you to capture from VCR and BETA and HDV camcorders. In addition you can also burn your videos to Blu-Ray Disc. Not compatible with Mac computers and installation could be slightly difficult. Priced at under $30, this converter has many limitations, but if you only want to use this product on an XP machine with Windows Movie Maker, then you have the simplest and easiest of converters. You just need to plug in the device, download drivers from CD, and you're all set to covert. Do remember however NOT to use the software included as it is incompatible with PowerDirector and PowerProducer software. Also don't use it with Windows Vista and Windows 7. Priced at under $60, this converter is a very versatile product and lives up to its name once you get started. The included software works well and records audio from tapes and records and also captures videos. It is compatible with nearly all types of video capture and editing software and its broad range of features earns it the silver award in the Top Ten Reviews. You can directly burn from a VCR to a DVD or transfer VHS tapes to your PC and can also convert vinyl records to CDs and MP3s. It can also be used with other third party video capture software. It is compatible with Windows 8, 7, Vista and XP, compatible with third party software, easy to use and also has a separate converter for Mac. Priced under $43, the Hauppauge video capture device is compatible with almost all software and can record even copyrighted material. Works on several operating systems but the included software doesn't work well. In fact, the conversion process is better with Windows Movie Maker. Works well with the XP, Vista and Windows 7 operating systems and is compatible with most third party video capture software. So choose your converters wisely and you'll get amazing results.